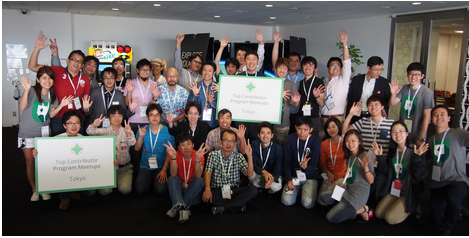 , the Top Contributors (TCs) of our Help Forums joined us at the Googleplex for the annual Top Contributors Summit. This year, we had 17 Google offices around the world host the Top Contributors from all Help Forums including the AdSense Help Forum. We'd like to take this opportunity to thank all the AdSense Top Contributors, Rising Stars, and AdSense Experts for helping our publishers by answering questions on a daily basis in the AdSense Help Forum. We appreciate your contribution and dedication. Interested in becoming an AdSense Top Contributor? Learn more about the Top Contributor program and start getting involved in the AdSense Help Forum. Last year, the Top Contributors (TCs) of our Help Forums joined us at the Googleplex for the annual Top Contributors Summit. This year, we had 17 Google offices around the world host the Top Contributors from all Help Forums including the AdSense Help Forum.